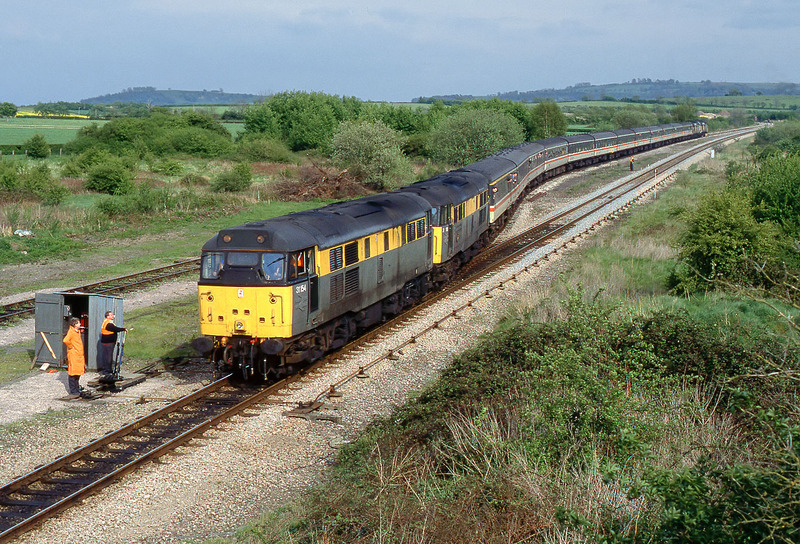 31154 & 31106 The Blackcountryman come off the Long Marston branch, and rejoin the Cotswold Line on 2 May 1993 with the Pathfinder Tours 1T50 14:05 Long Marston to Worcester Shrub Hill 'Saucy Slapper'! railtour. 37019 & 37218 are on the rear of the train. Note the single line token machine visible through the open door of the Honeybourne Ground Frame hut.